One. Earlier this week I was feeling crafty, so I went to a thrift store down the street for some inspiration. They were having a 50% off sale of all of their frames and prints, so I picked up an ugly dated print in a gold frame for $5.00. A few strips of painters tape and some chalkboard spray paint later we now have chalkboard for our kitchen! I just taped around the edges and spray painted over the glass. It was super simple, and it looks great on our wall. Two. Greenville had a new restaurant to open this week, Yard House. It's a national chain, and they just opened up their first South Carolina restaurant in Greenville this week. T and I stopped by on Wednesday night. We tried samples of several of their menu items, and had a couple of beers. We were both very impressed with the quality of food they offered, it's not your typical bar food. They also offer over 100 beers on tap and change them out daily. T was like a kid in a candy store. Finally, a sports bar with good beer and good food. Three. 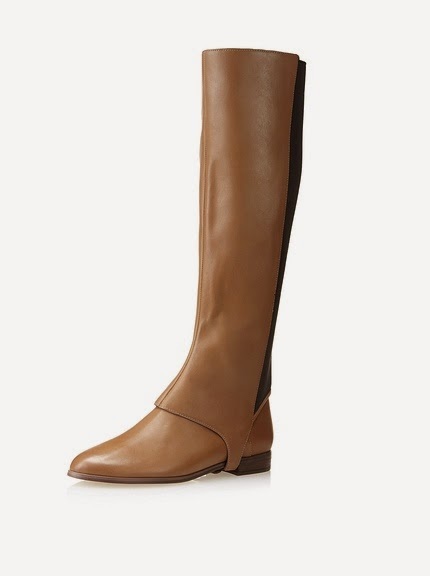 These boots, mind=blown. They're sold out on MYHABIT, but I've been added to the wait list for three different sizes. Fingers crossed someone returns a pair. How awesome are they? 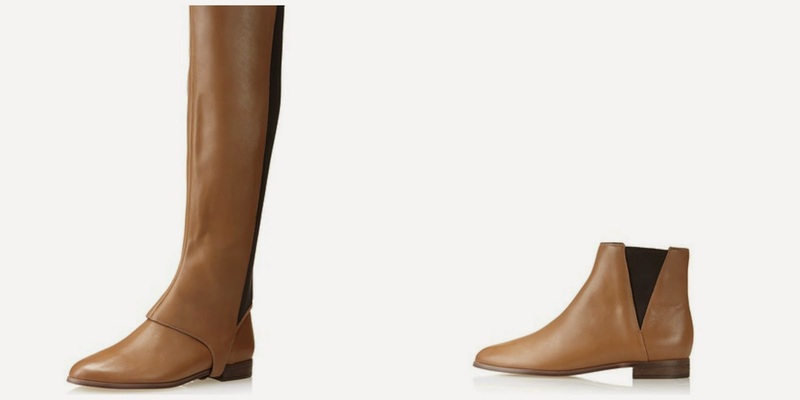 I could definitely justify buying a pair of boots if they can be worn as booties too, right? Four. It's not too late to enter the giveaway for a pair of Ja-vie flats! My sister April of A. Liz Adventures and I are hosting a giveaway for a free pair of Ja-vies. These shoes are awesome, I'm wearing mine today to keep my feet dry on this rainy Friday in Greenville. Read more about the giveaway here. Five. My mom and dad are coming into town this weekend to stay with us. It's the first time in over six months that they'll be visiting our house, and I'm so excited! We've got big plans. Dinner and drinks out tonight followed by the Clemson vs. N.C. State game tomorrow. Dad is a NCSU grad, so we've got a little friendly rivalry going on. Go Tigers! Yard House looks like a place that I would enjoy! You cannot beat a sports bar that has great food and drinks. Have fun in Clemson tomorrow! That chalkboard frame is awesome, Laura! 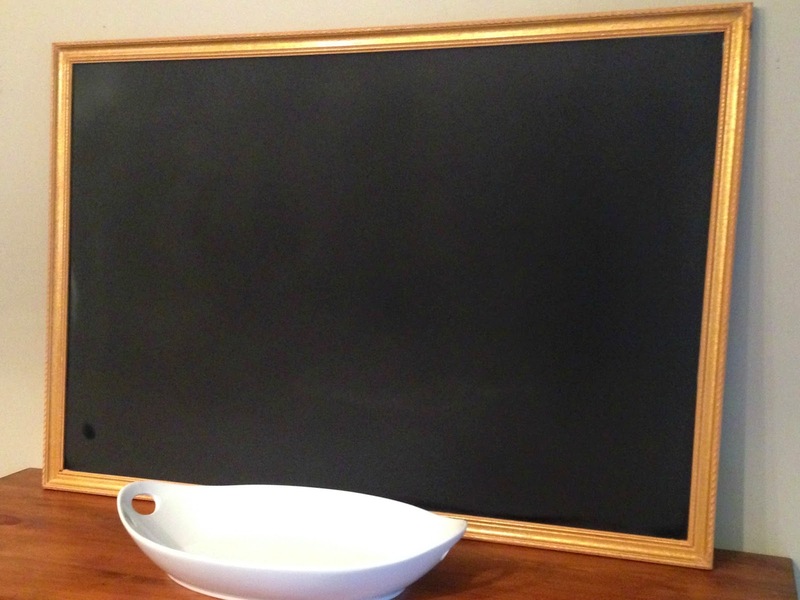 Love that chalkboard you whipped up for your kitchen - so fun! Hope you enjoy the time with your fam this weekend. My fingers are totally crossed for that giveaway! I'd love those shoes! And how about those Tigers yesterday? I was so proud! Can't wait to try out Yard House when I visit!